The historical man - the Buddha, expressed his understanding of the world as "Life is suffering!". In the 21st century this suffering is experienced as conflict and uncertainty. To find the proper action within this modern world is the whole point of Zen. 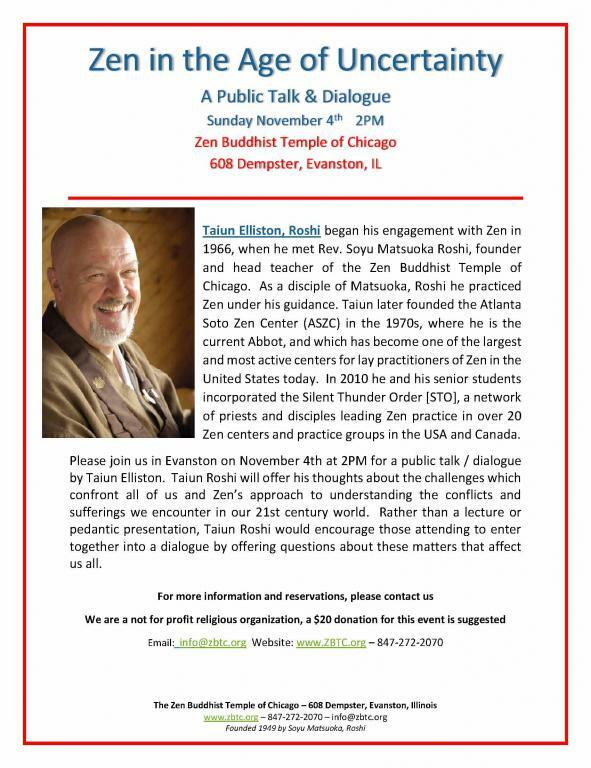 Please join us for a conversation and dialogue with Taiun Elliston, Roshi probing into this vital and basic question. A suggested donation of $20 is encouraged.